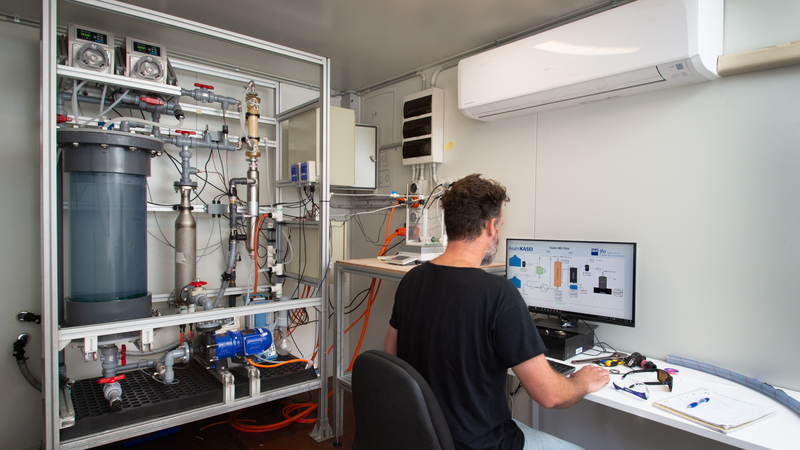 QUT has opened a pilot plant at Banyo to study technology for removing salts from bore water, industrial wastewater and sea water to produce high-quality drinking water. QUT has opened a pilot plant to study technology for turning bore water, industrial wastewater and sea water into high-quality drinking water. The researchers are working with Japanese chemical conglomerate Asahi Kasei on a system that uses solar energy or low-grade waste heat produced by industry. The system dissolves salts from water using a mebrane distillation system. QUT researchers from the Institute for Future Environments have been working with the Japanese chemical conglomerate Asahi Kasei for three years on the technology that uses solar energy or low-grade waste heat produced by industry to remove dissolved salts from water samples. The pilot plant, which has been commissioned at the QUT Banyo Pilot Plant Precinct, will have the ability to process 1000 litres of water a day through a process called membrane distillation system. Professor Graeme Millar, from QUT’s Science and Engineering Faculty, heads the research team that has developed a system that uses Asahi Kasei membranes. 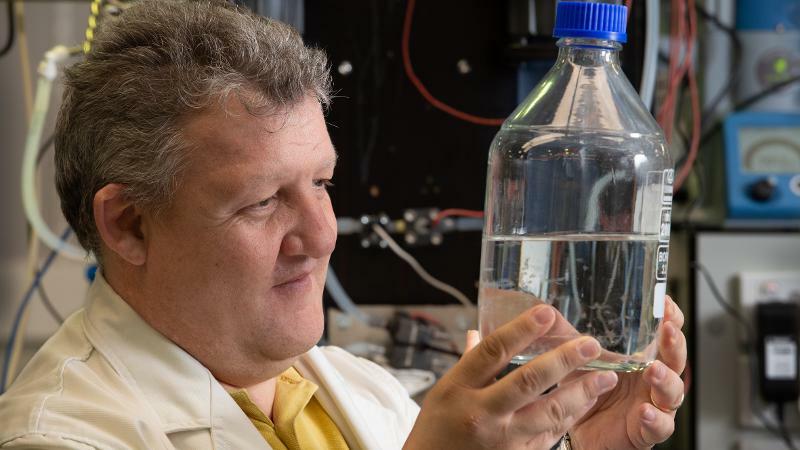 The QUT researchers have developed a system that means the membranes can be used for more than 2000 hours filtering salt water before the membrane needs cleaning. One of the advantages of the system is that it can use industrial “waste” heat, which is heat produced as a byproduct, and use that to distil the water through the membranes. “We can tap into that and make water on the spot for the companies,” Professor Millar said. Professor Millar said future applications of the new membrane technology included treatment of coal seam gas (CSG) associated water, bore water in remote communities, reverse osmosis brine and seawater to produce high-quality drinking water. The process being tested in the pilot plant that has been commissioned at the QUT Banyo Pilot Plant Precinct uses heat and a membrane that filters out the salts. The processing plant uses a membrane to remove salt from different types of water. “Agriculture is the major consumer of freshwater resources in Australia,” Professor Millar said. Professor Millar said the planned design of a commercial module built using this system would be able to convert 1 million litres a day of water, with uses ranging from installations at mining, agricultural and industrial sites to portable solar-powered units that could be used by emergency services in the wake of natural disasters. 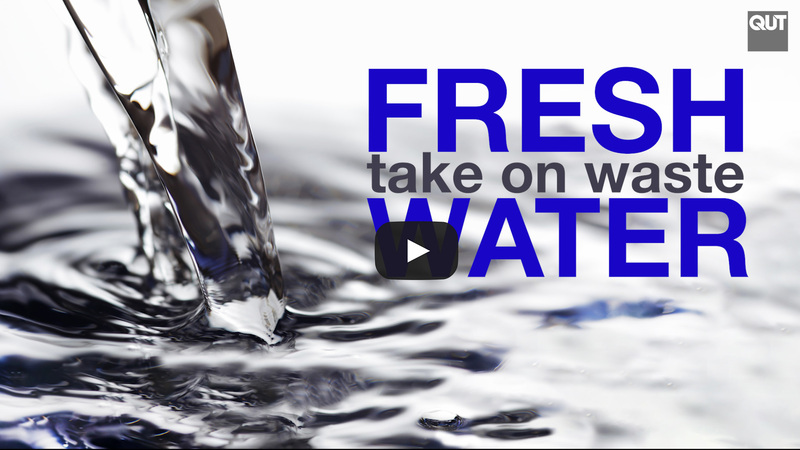 “It offers low-cost water treatment for remote communities,” Professor Millar said. Researchers at QUT and QIMR Berghofer Medical Research Institute have found that the dengue fever mosquito common to north and central Queensland poses the greatest danger of spreading the Zika virus in Australia. QUT researchers will be conducting the first comprehensive study of netball players in a decade on the link between training workload and non-contact injury.